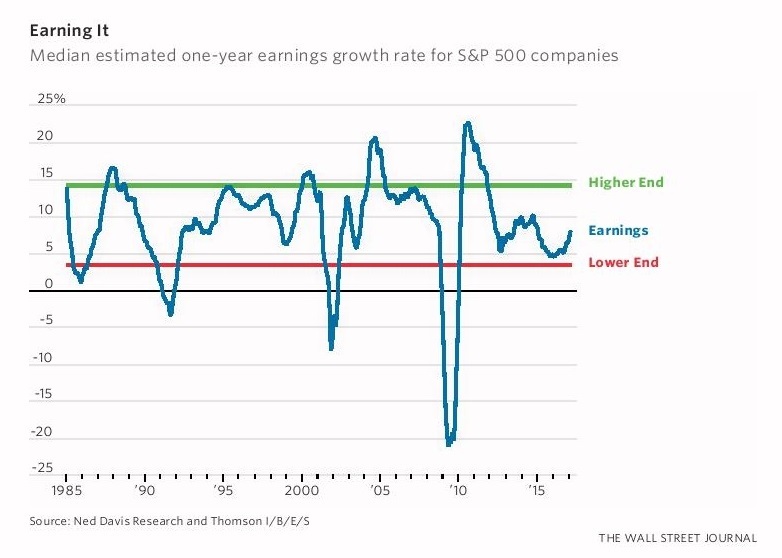 The chart comes from a recent Wall Street Journal article which shows the average growth rate of corporate earnings for S&P 500 companies since 1985. In the short run, earnings growth is incredibly volatile, and on three separate occasions, we’ve seen it turn sharply negative. How does this impact you as an investor? 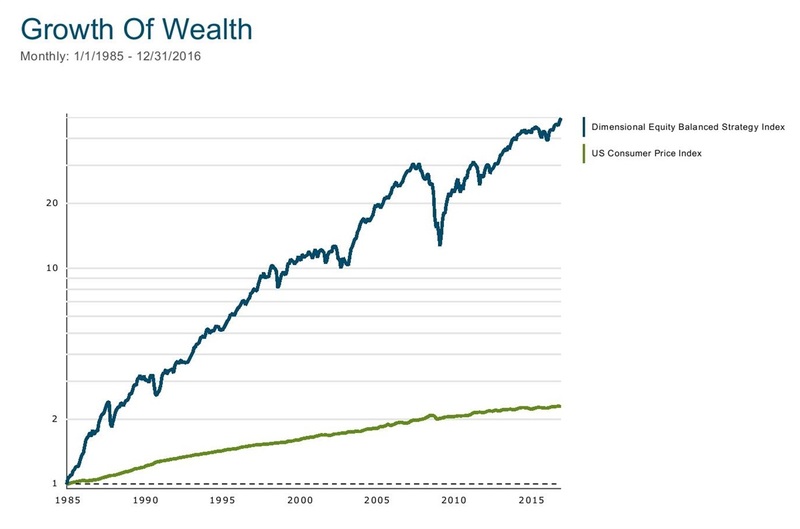 By owning stocks, you benefit from the long-term upward trajectory of corporate earnings growth through higher portfolio values. But you also experience short-term setbacks in your wealth when earnings decline or turn negative. What’s an acceptable reward for putting up with this volatility and the periodic investment losses? Since 1985, $1 invested in a globally diversified stock index portfolio was worth almost $50 (+13.0% per year) by year-end 2016. That seems more than fair.